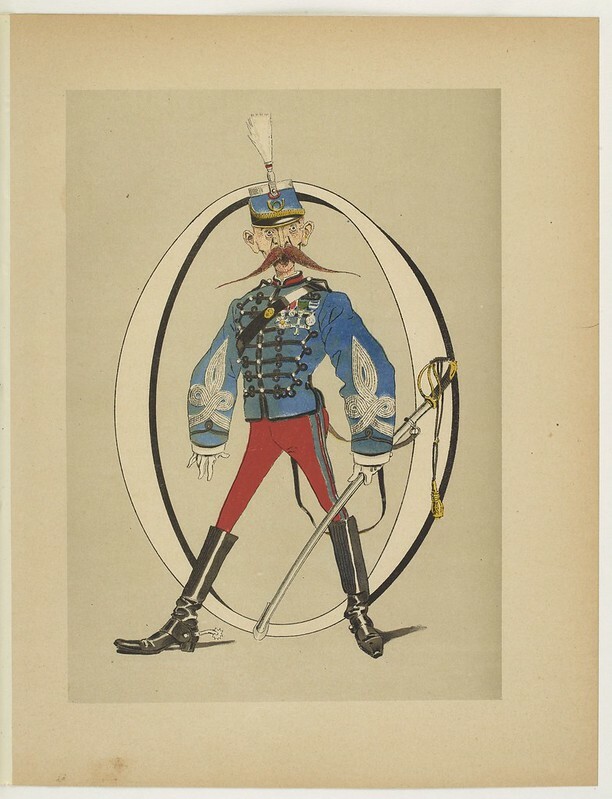 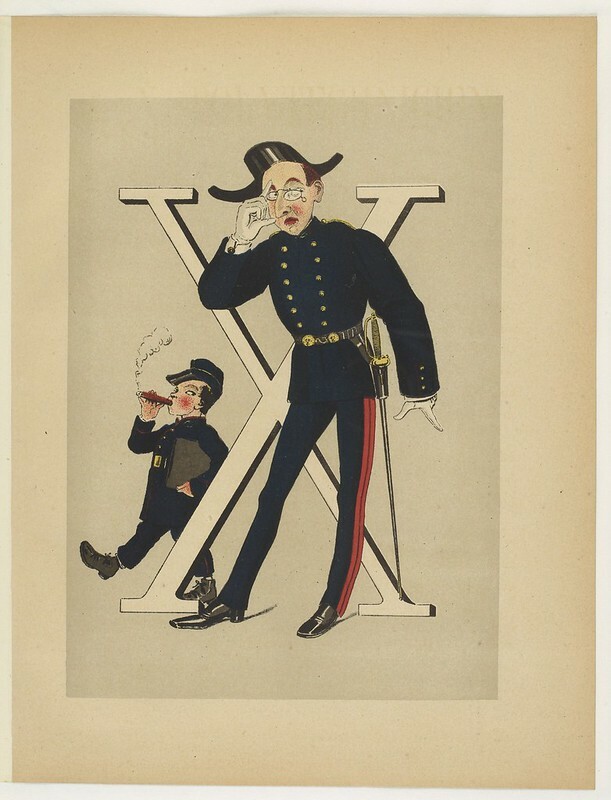 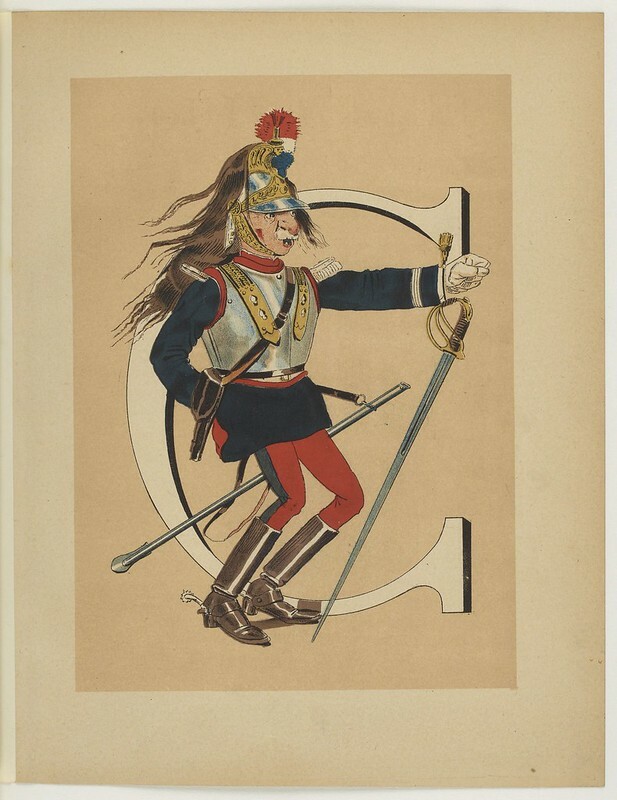 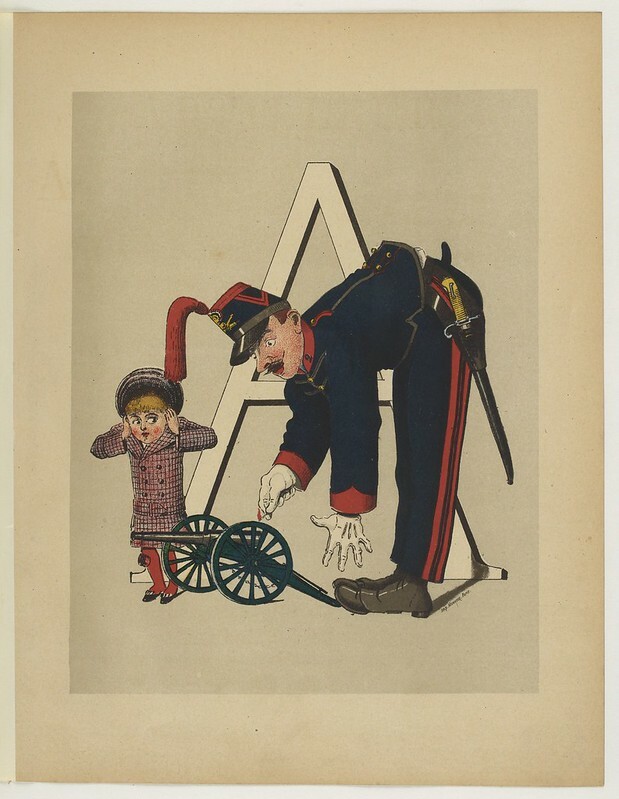 This 1880s book - obviously aimed at young people - offers satirical portrayals of various branches and uniforms of the French military and each chromolithograph is accompanied by a page of descriptive text. 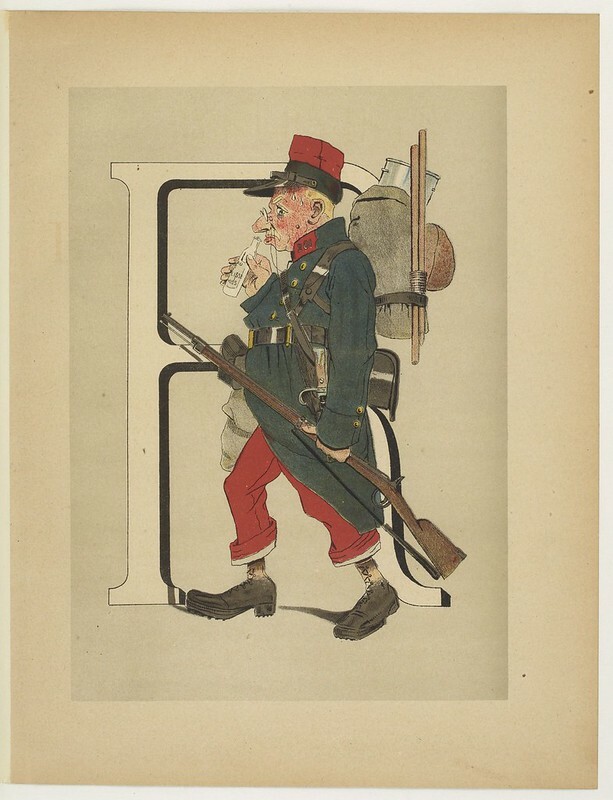 Biographical quote from LAMBIEK site: "French illustrator Henri de Sta was born in Versailles as Arsène Henri Saint-Alary. 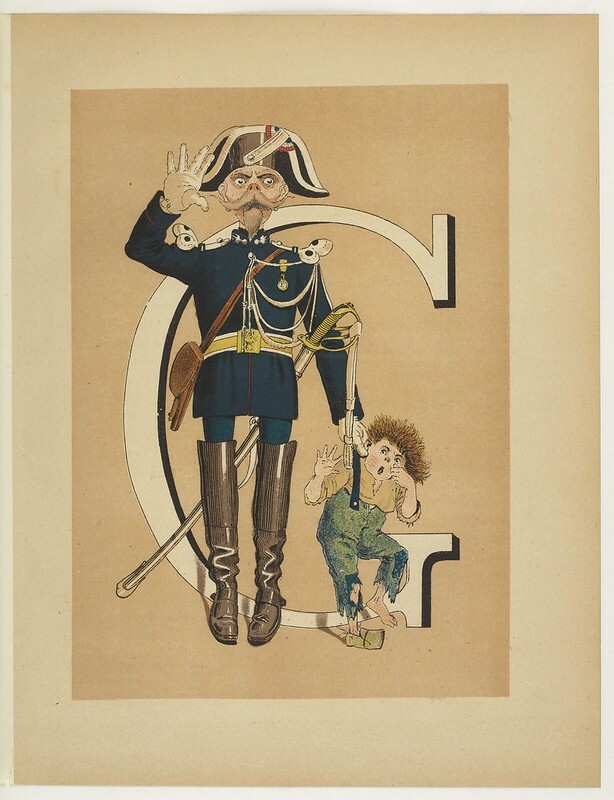 He began his career around 1882 with La Vie Artistique and the publishing house of Léon Vanier. 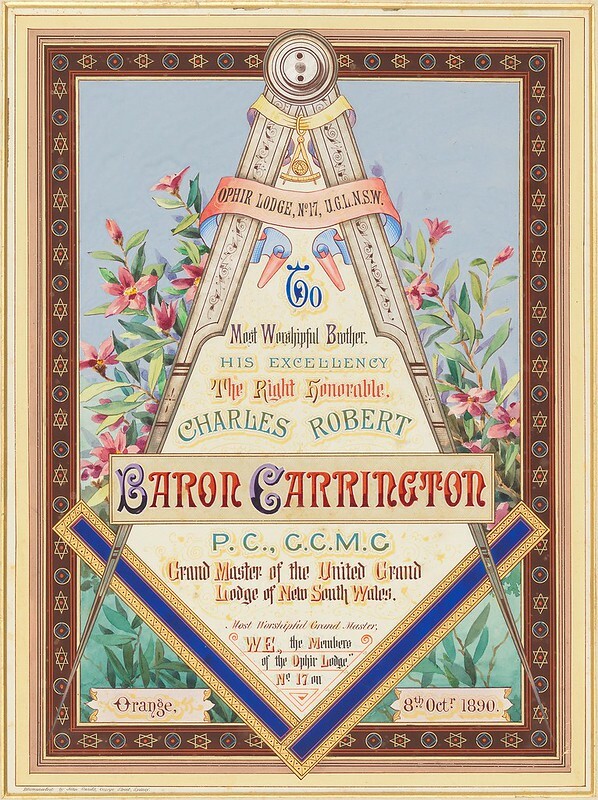 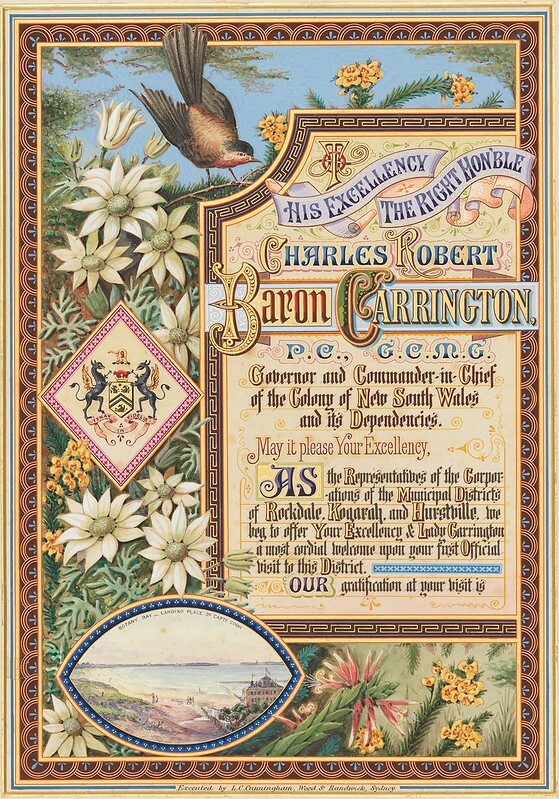 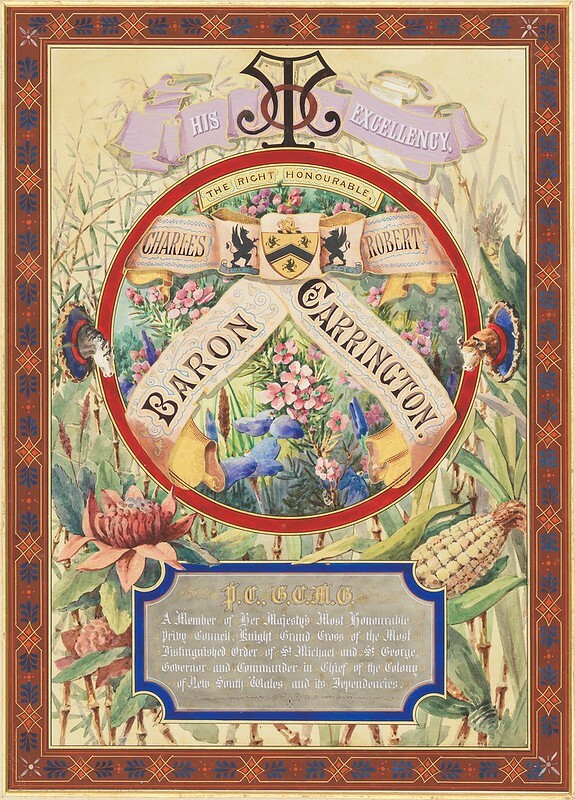 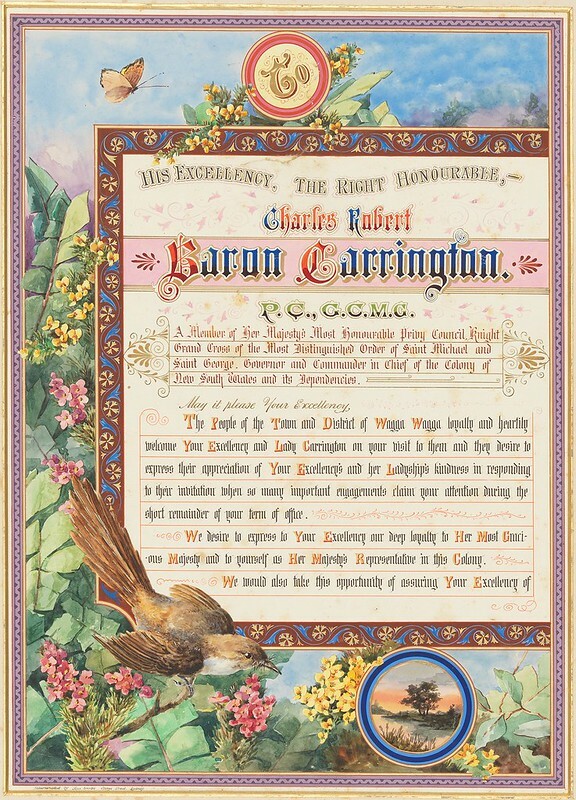 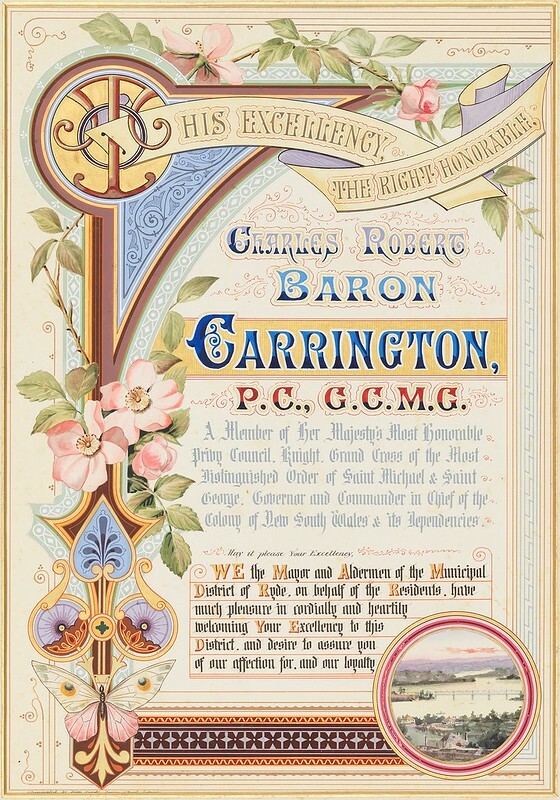 Coming from a family of militaries, garrison life became a regular theme in his career. 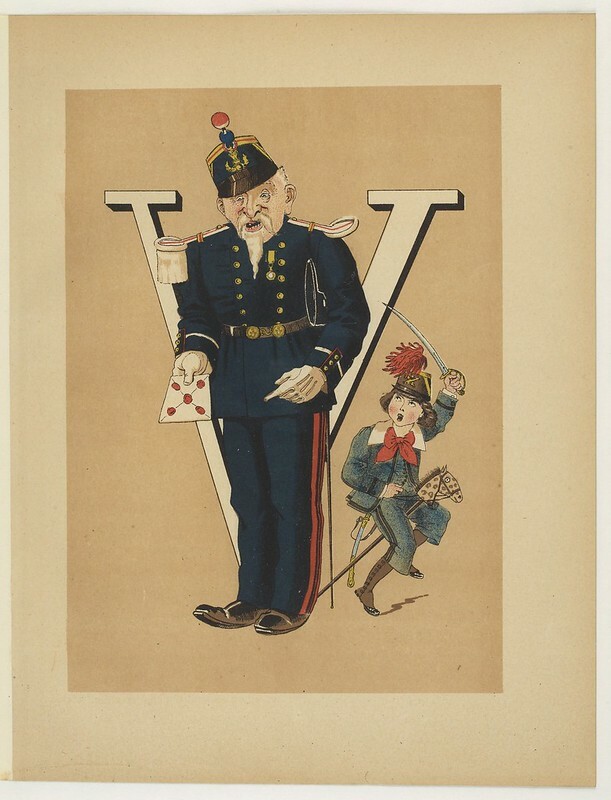 De Sta worked as a humorous illustrator for Le Chat Noir since 1892. 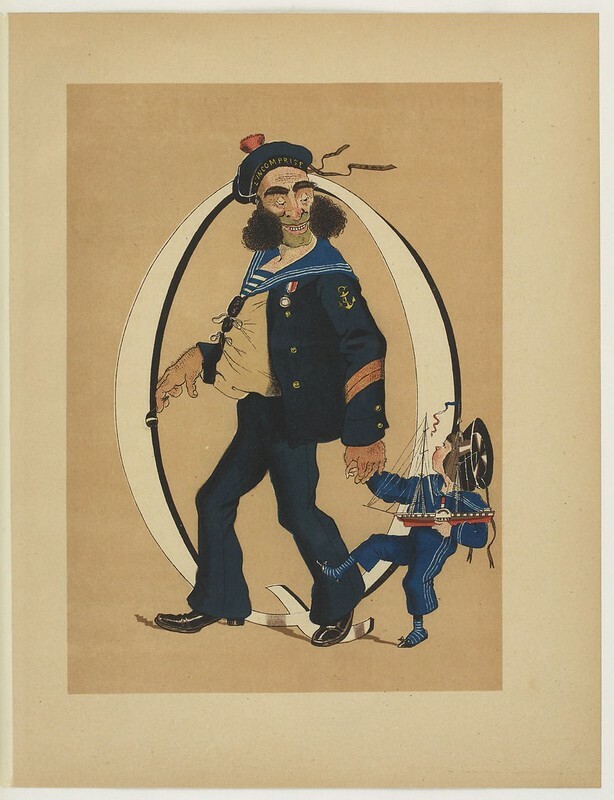 He was also present in Le Paris Bouffon (1885), Le Rire (1897) and Le Charivari (1900). 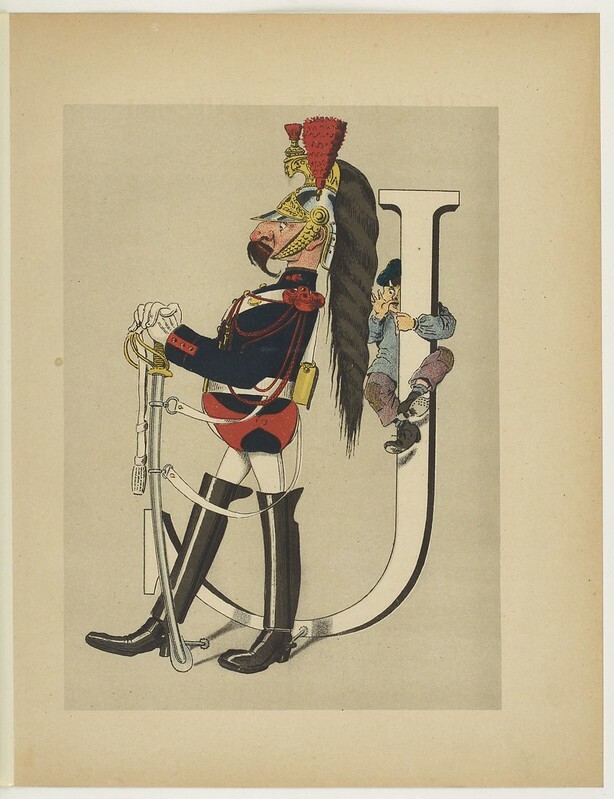 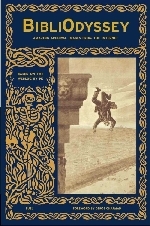 He composed military alphabets, illustrated songs and produced comics for La Chronique Amusante from 1896, and for Les Contes Moraux et Merveilleux of the printing firm Pellerin d'Epinal." 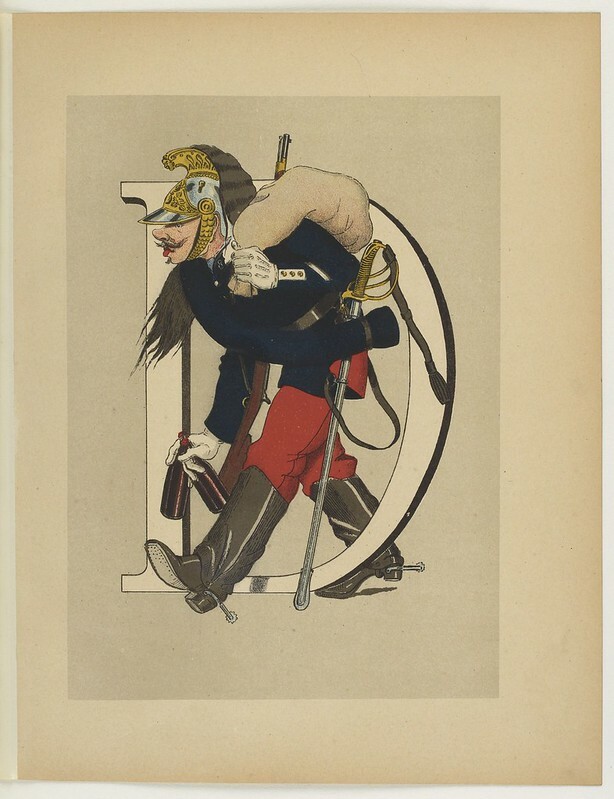 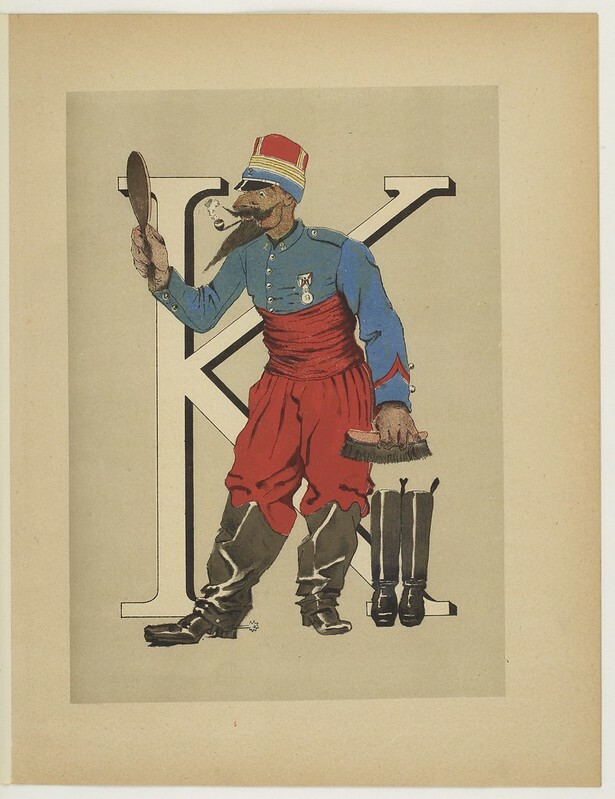 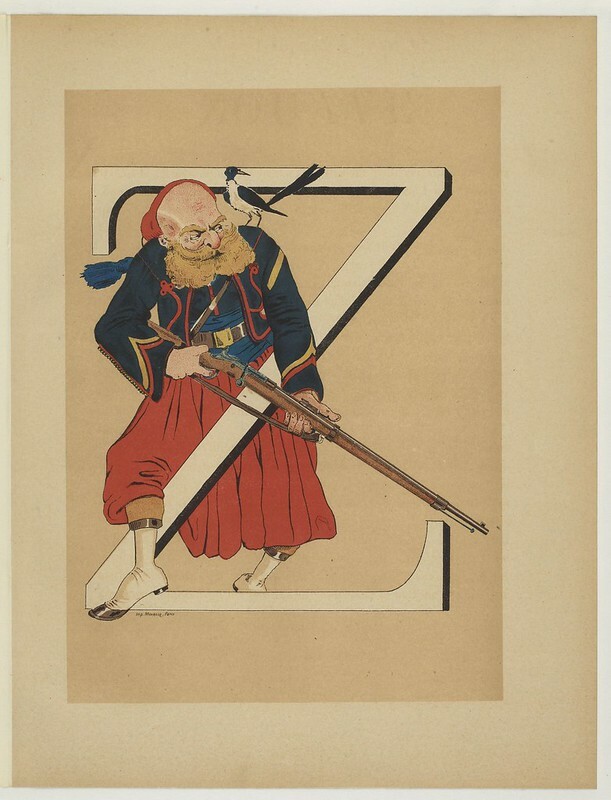 'Armée Française : Nouvel Alphabet Militaire' 1883 is available among les Abécédaires de Gallica. 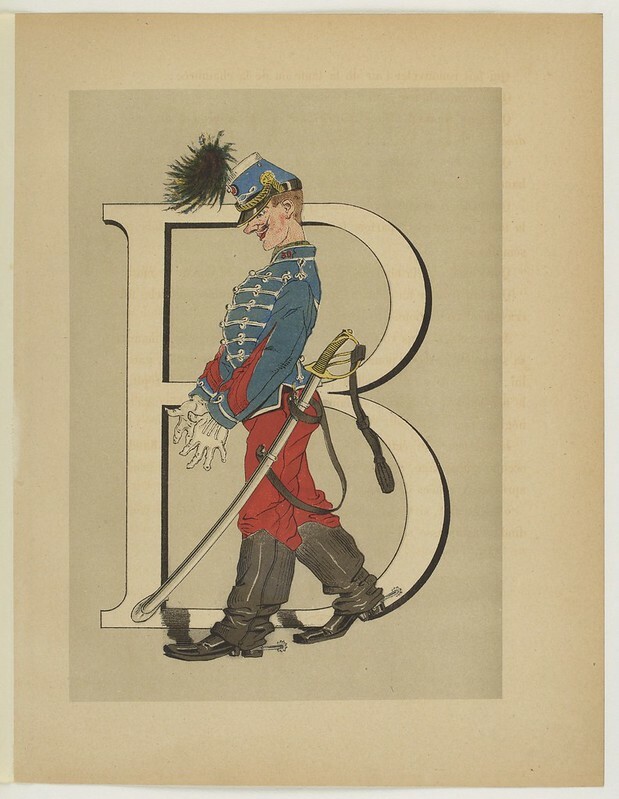 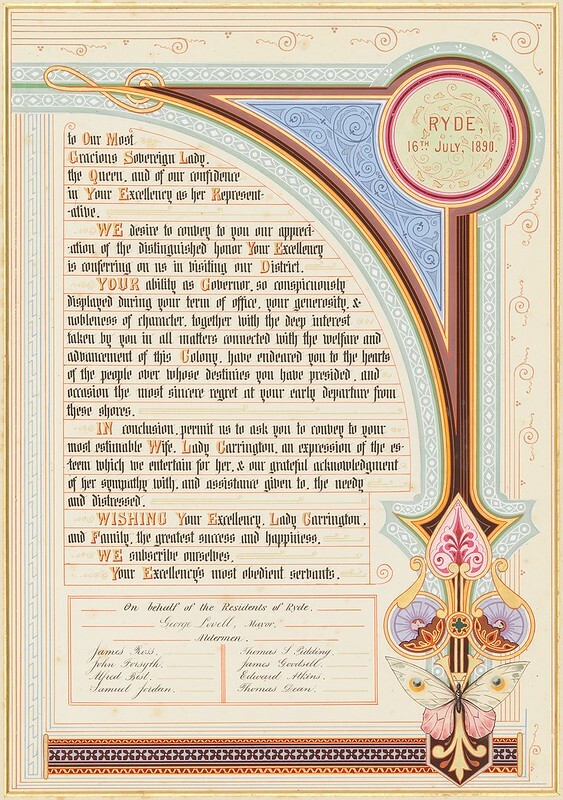 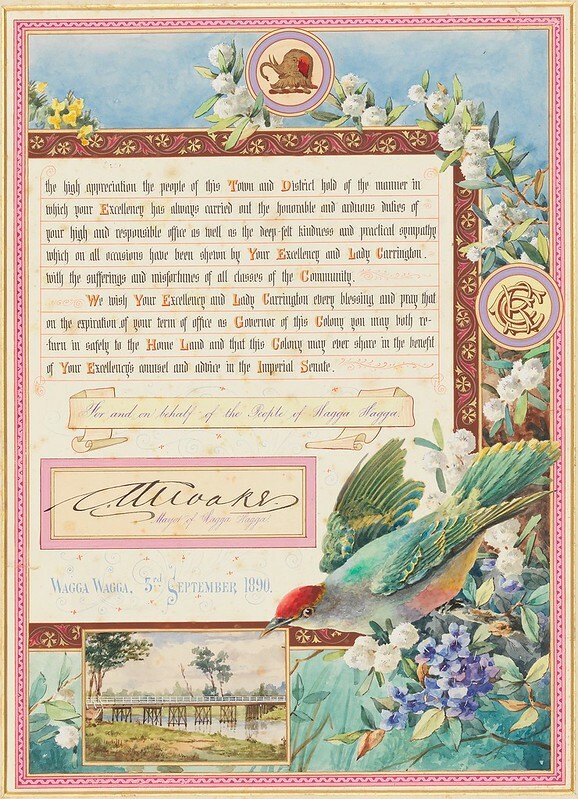 The Military ABC Book post first appeared on the BibliOdyssey website. 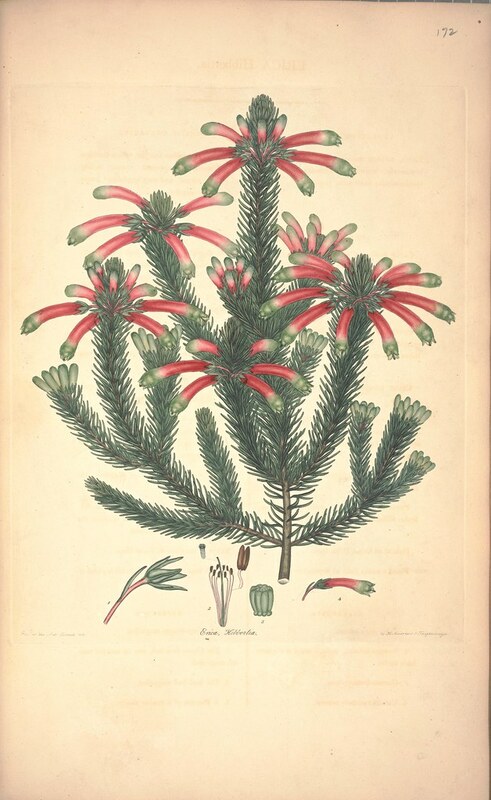 The vast majority of the 860+ species in the genus Erica (heaths/heather) are endemic to southern Africa. 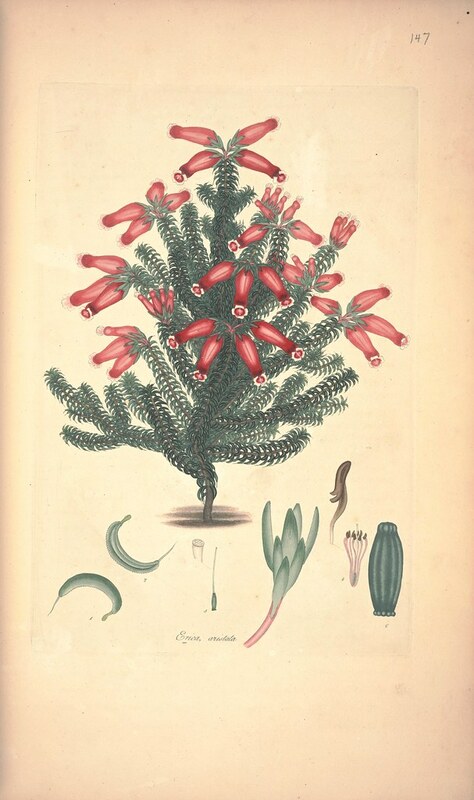 Plants from this genus don't respond well to being dug up and relocated and very few specimens were seen in Europe before the late 1700s. 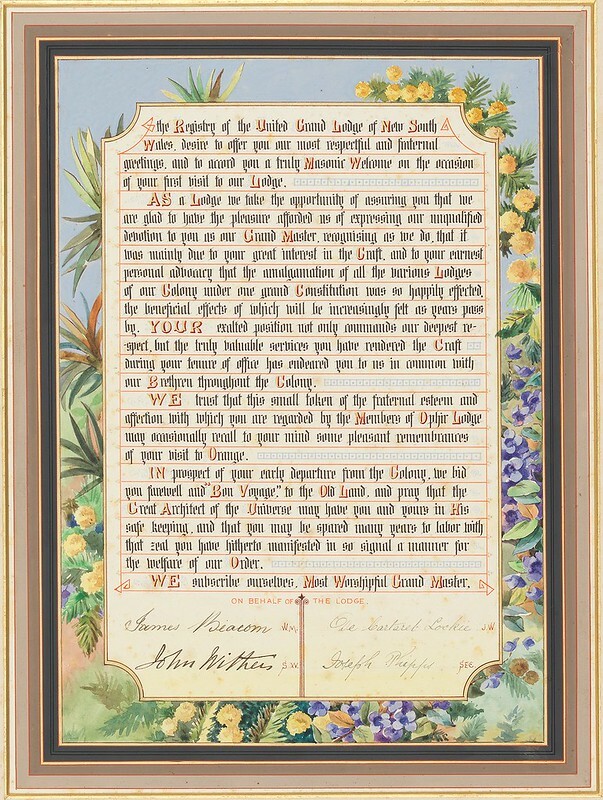 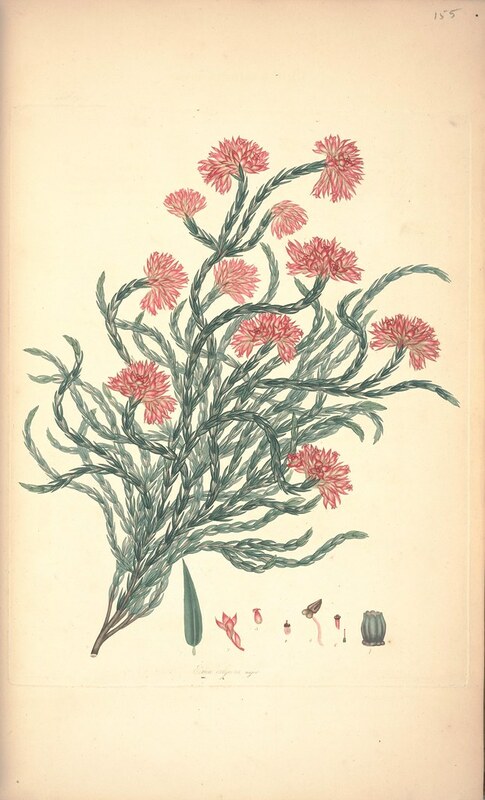 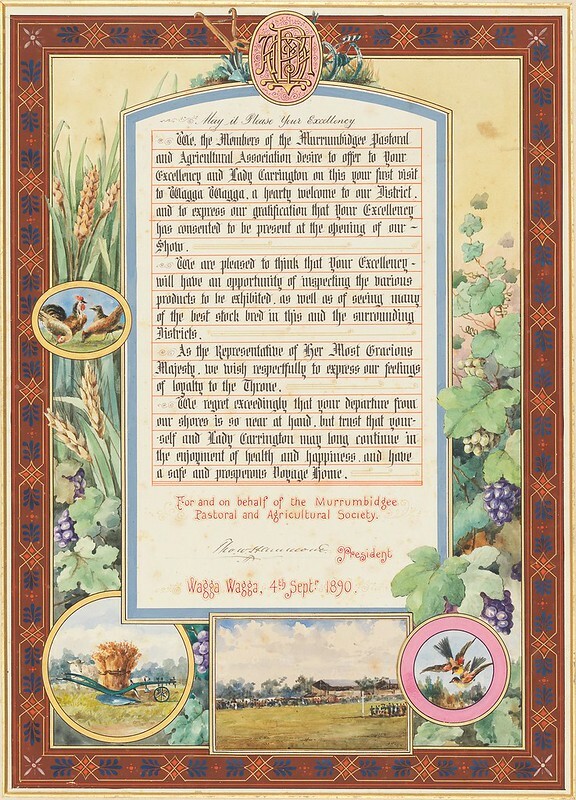 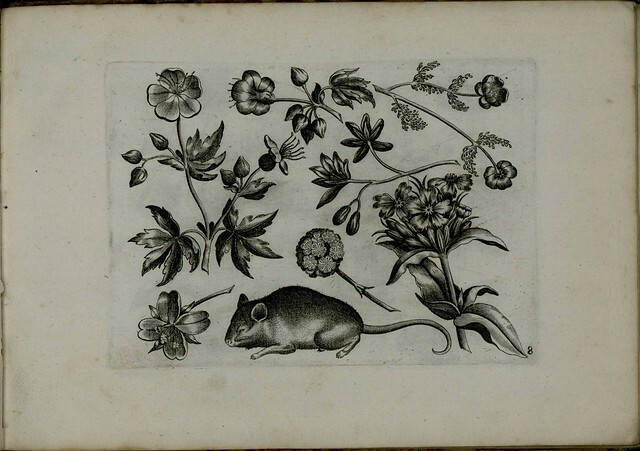 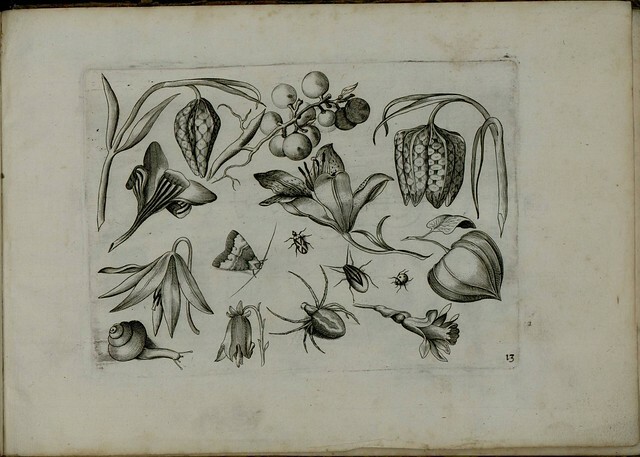 Discovery voyages eventually included botanists and specialist plant collectors and handlers. 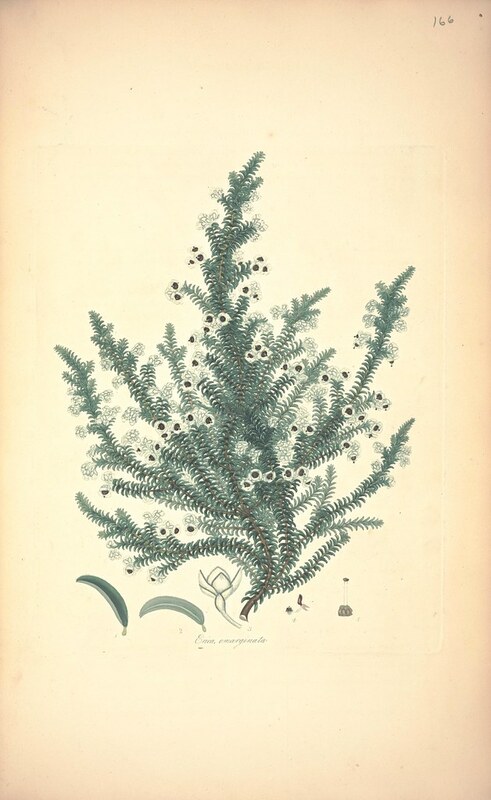 They could successfully preserve, dry or nurture Erica species and their parts, enabling samples to survive the rigours of a three month sea voyage to Europe. 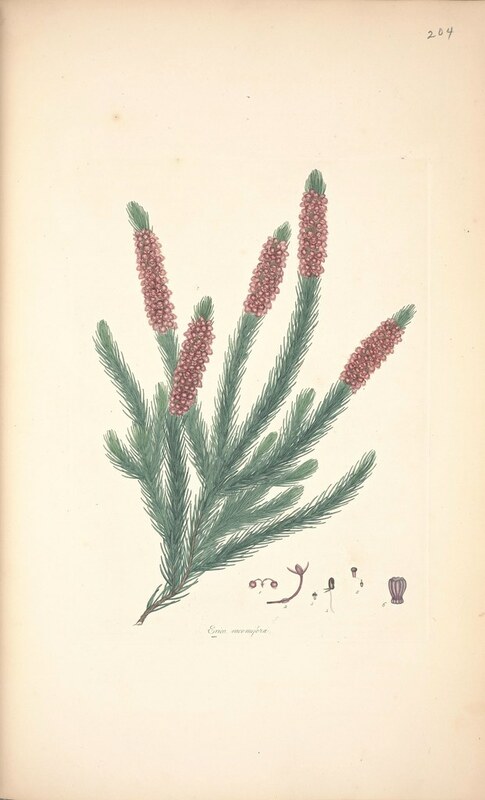 An indication of the proliferation over time of African species of heather in Europe can be seen in this graph of ~publications on Erica species. 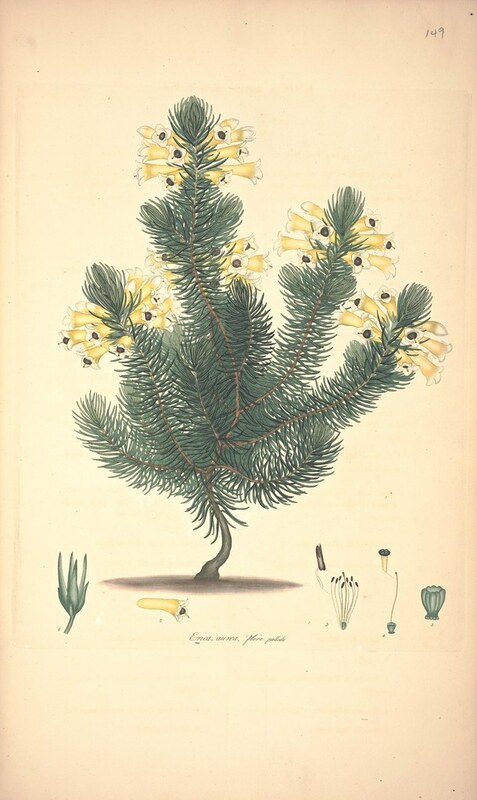 The first large peak corresponds to the array of heath plants described in the book series from which the illustration plates below were selected. 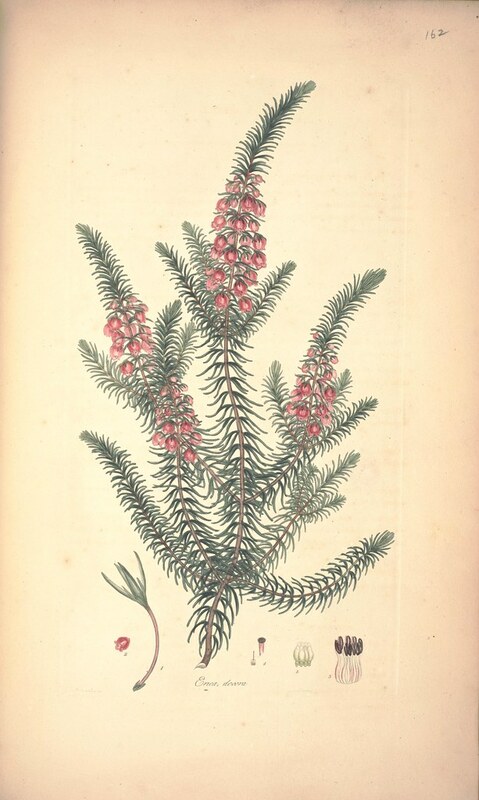 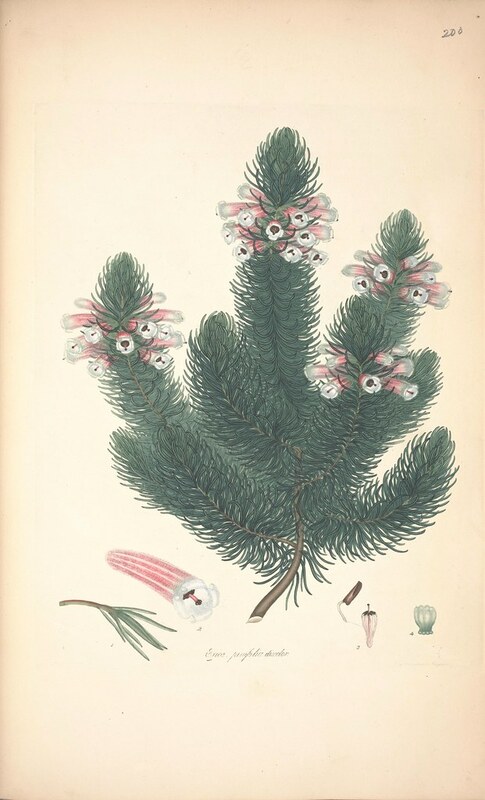 By way of clarification: the Ericaceae family consists of two very similar genera: Erica (aka winter heather; and more likely called heath) and Calluna (aka summer heather, consisting of one species, Calluna vulgaris, from which the many popular heather varietals - domestic shrubs - have been bred). 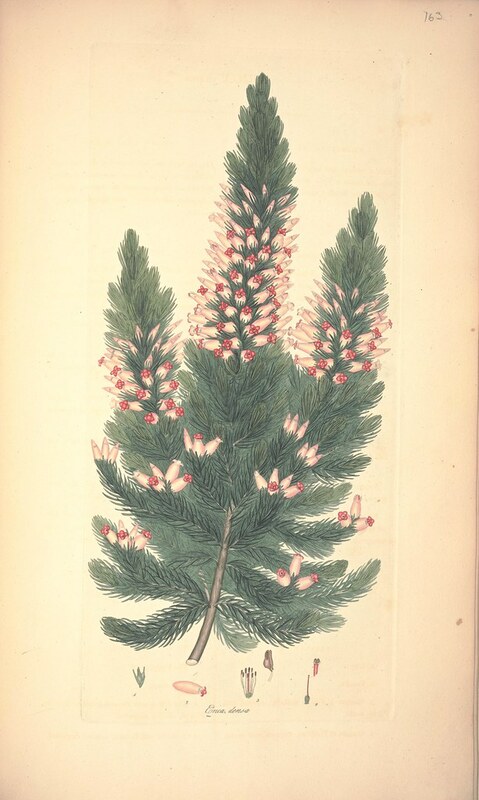 The species depicted below are from the Erica genus. 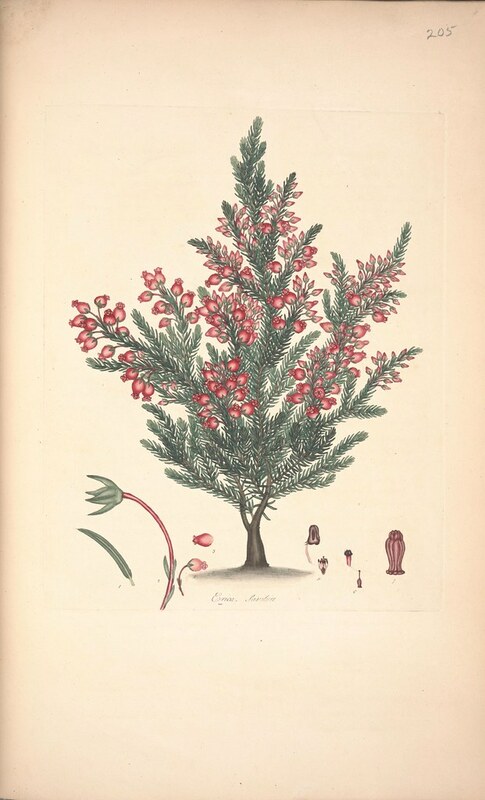 'Coloured Engravings of Heaths' by HC Andrews is a 4-volume series from the early 19th century (seen below), and is particularly noteworthy because the author is believed to have also taken on the roles of artist, engraver, publisher and hand-colourist. 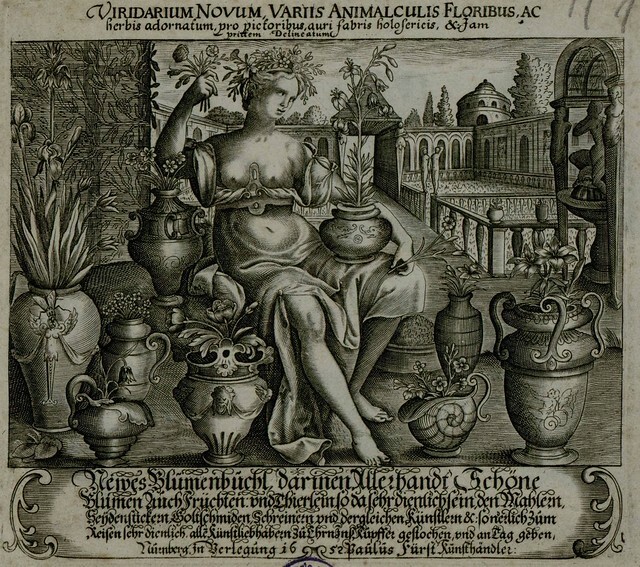 That level of multi-tasking is fairly rare in the world of scientific publishing, at least in my experience. 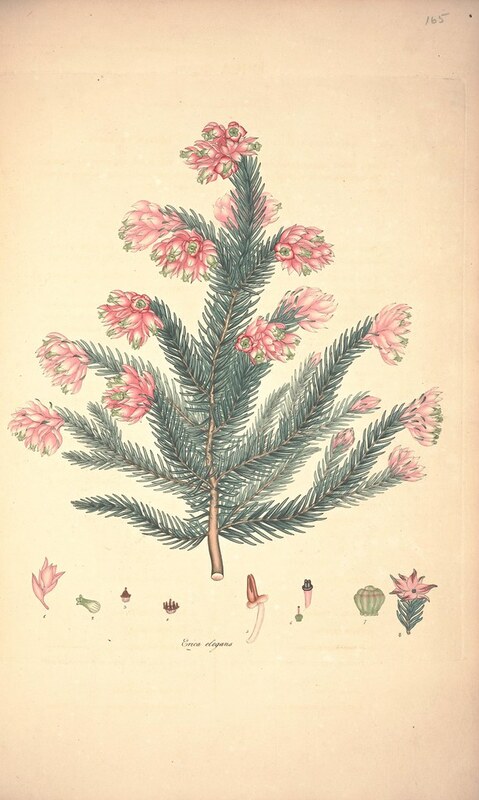 The full title of Henry Charles Andrews' publication is: 'Coloured Engravings of Heaths. 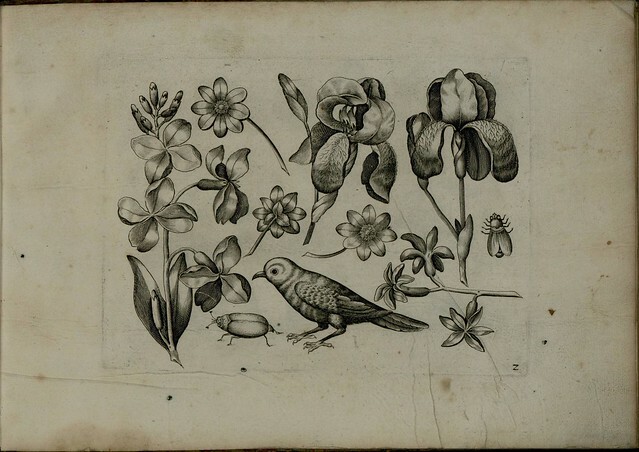 The drawings taken from living plants only. 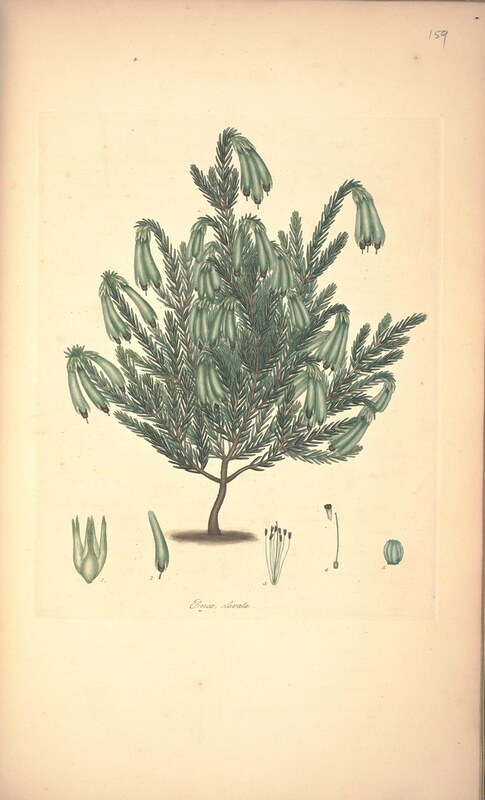 With the appropriate specific character, full description, native place of growth, and time of flowering of each; in Latin and English. 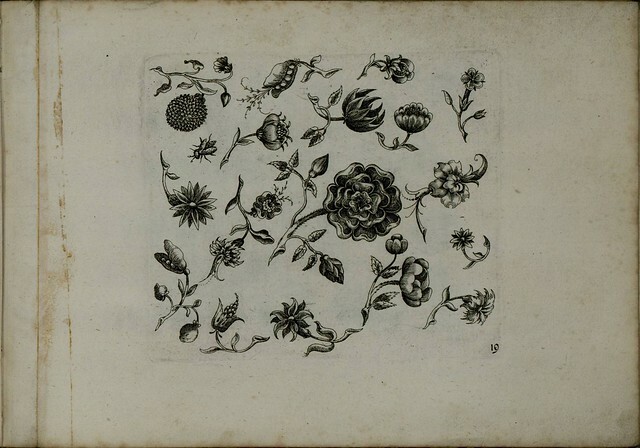 Each figure accompanied by accurate dissections of the several parts (magnified where necesary) upon which the specific distinction has been founded, according to the Linnæan system'. 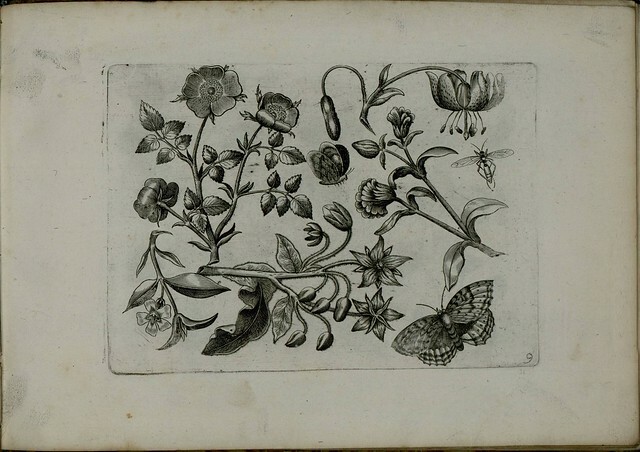 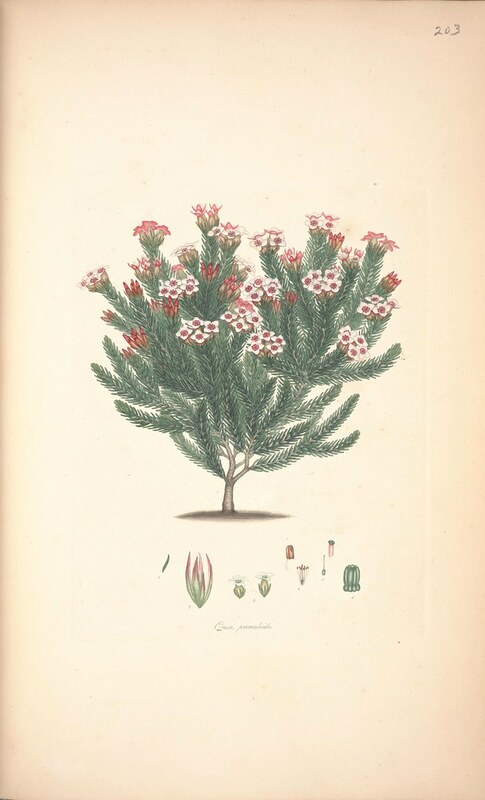 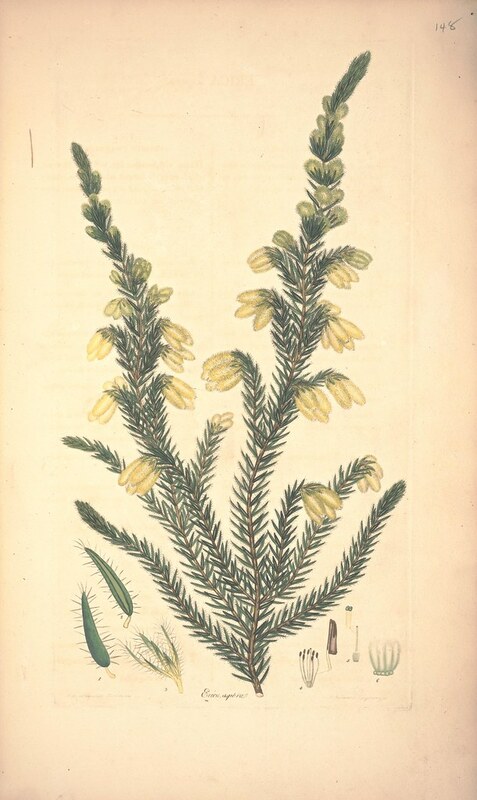 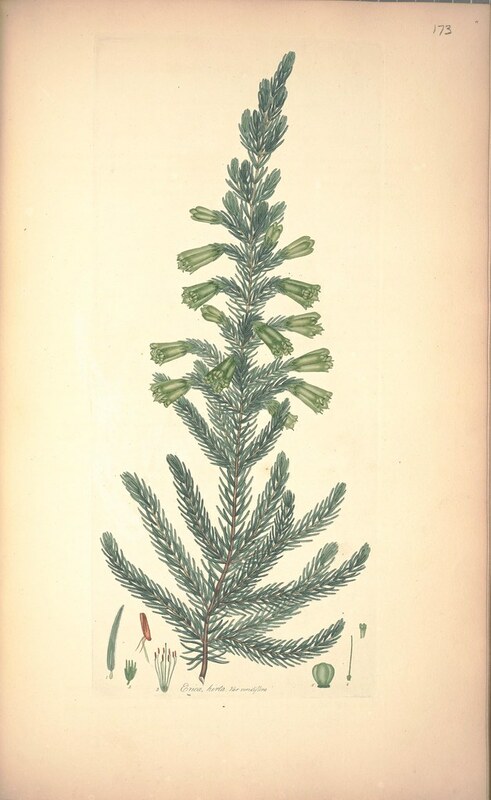 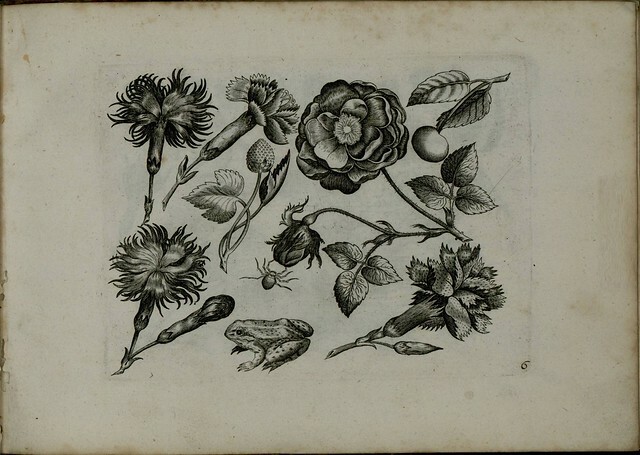 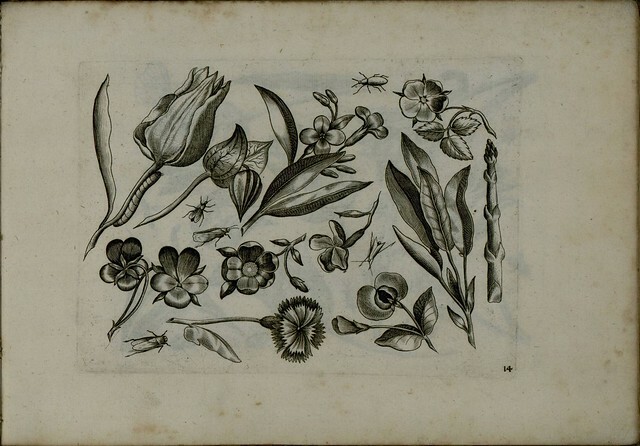 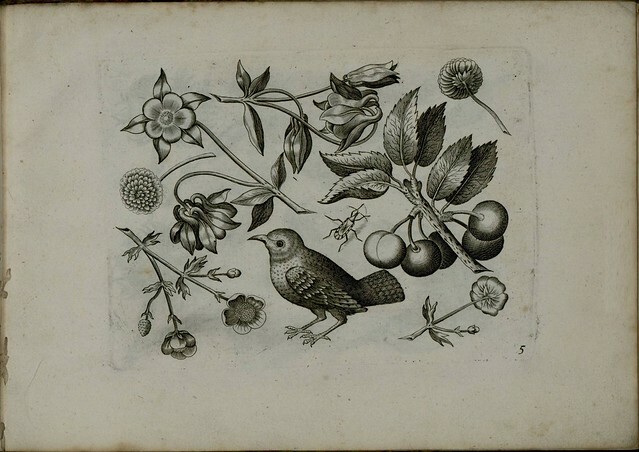 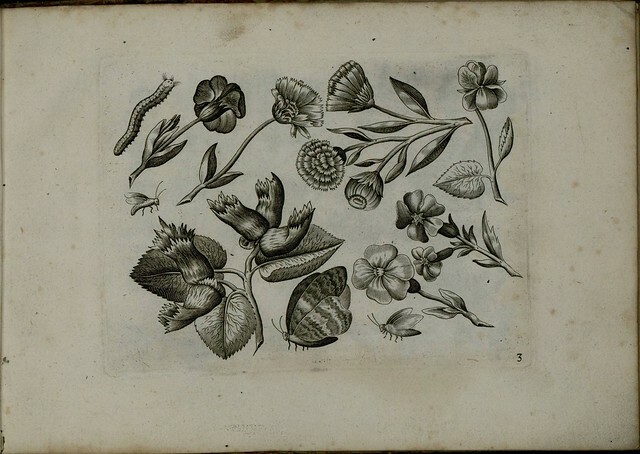 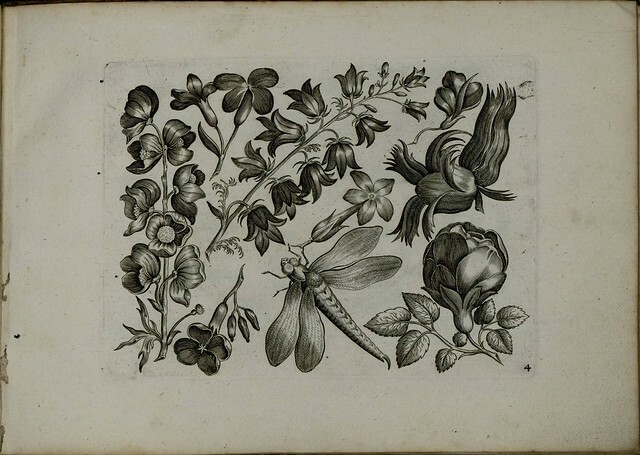 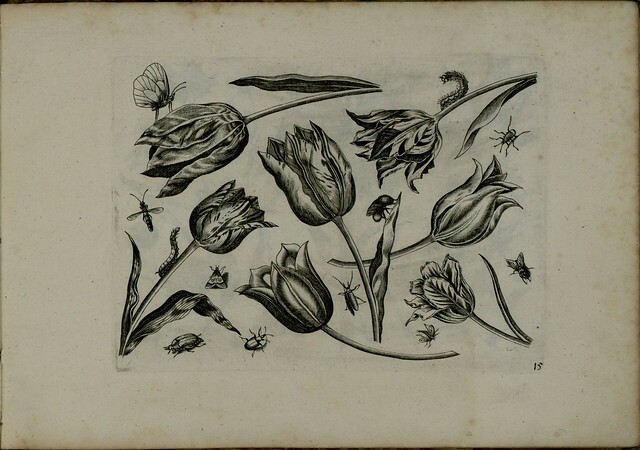 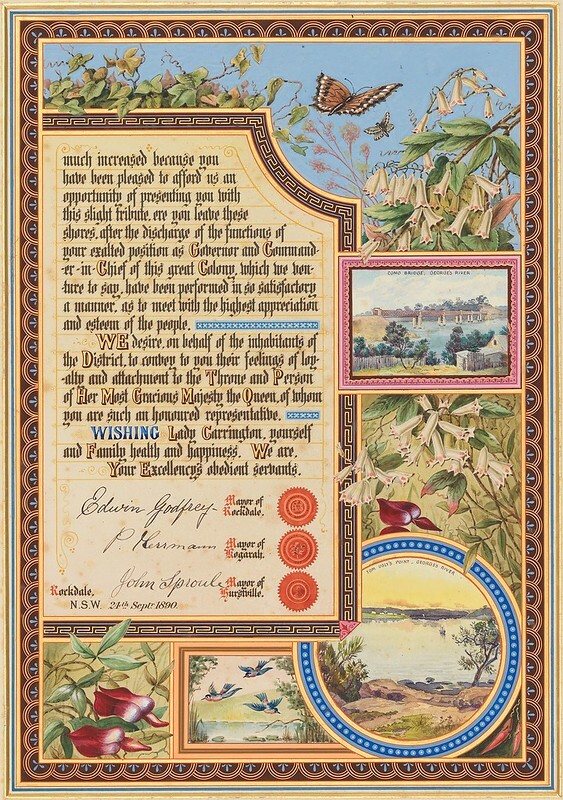 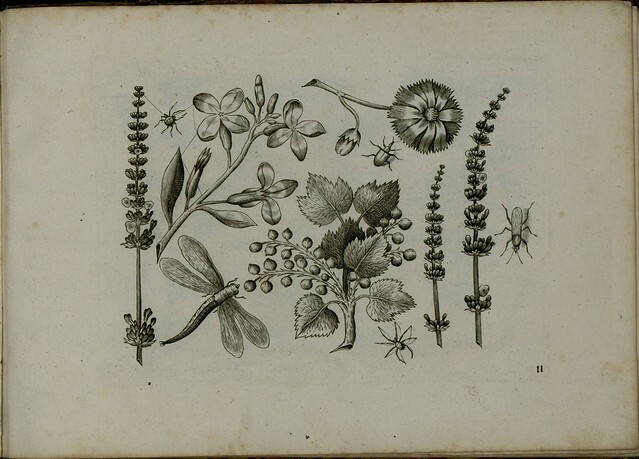 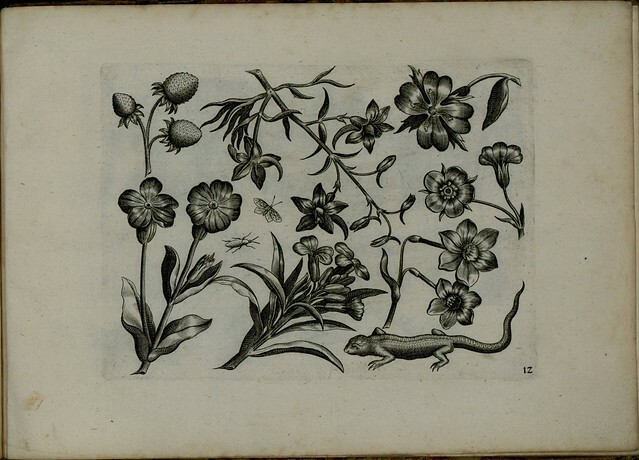 It appears Andrews was author-publisher of some six or eight botanical works in total (including a few multi-volume series); most on Erica/heath species, together with monographs on some rare plants and flowers. 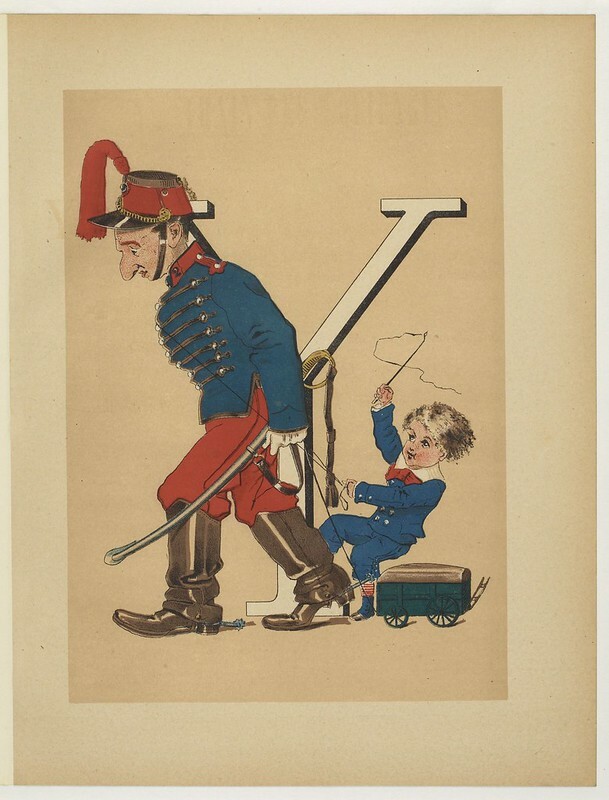 His name(s) make(s) tracking down his publishing record difficult to say the least. 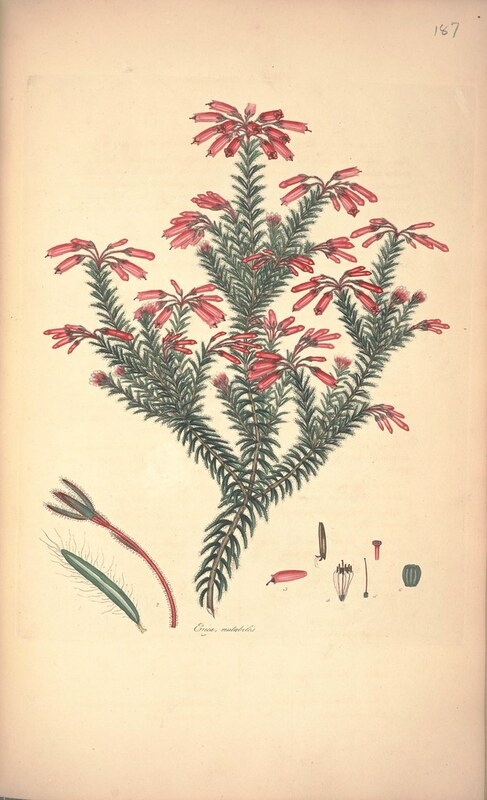 'Coloured Engravings of Heaths' (Vol 3) by Henry C Andrews has been made available online by Missouri Botanical Gardens through both the Biodiversity Heritage Library and their Botanicus website (though they both have different title pages for some reason; however, the illustrations appear to be identical in each). 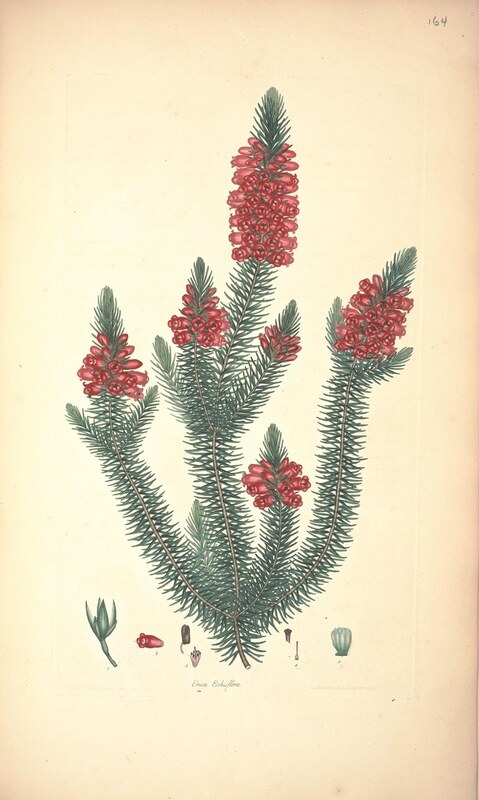 A working list of all plant species from the genus Erica. 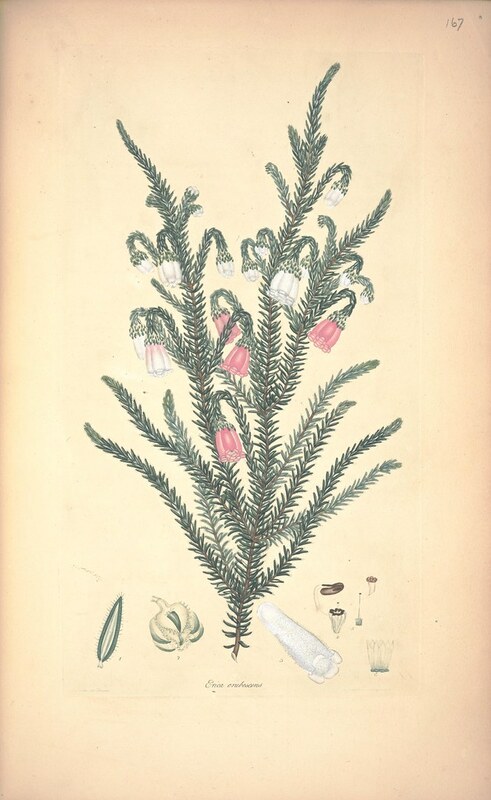 How to Grow Heathers and Heaths. 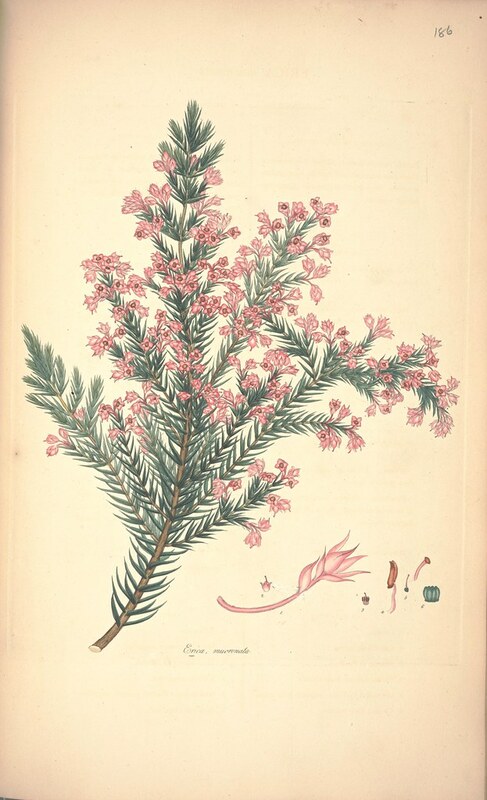 The Humble Heather post first appeared on the BibliOdyssey website.